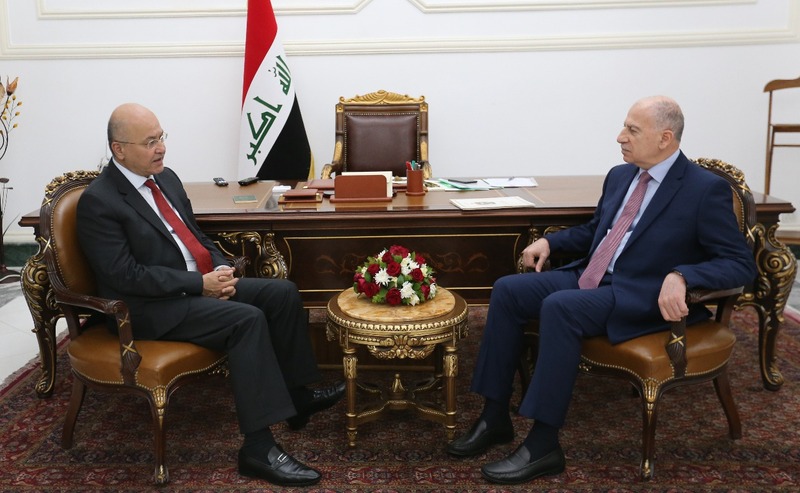 President Braham Salih received the Iraqi Artist Hussein Neama, at the Presidential Office in Baghdad, Monday, February 11, 2019. 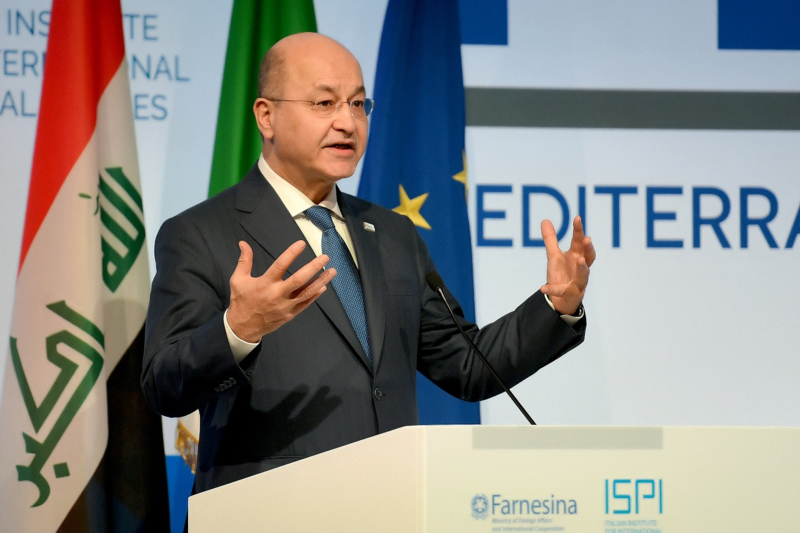 His Excellency emphasized the need to give Iraqi innovators, intellectuals, and artists the required attention and care, stressing on the issuance of legislation and laws that guarantee well-off life for them in a manner that commensurate with their creativity, status, and achievements. 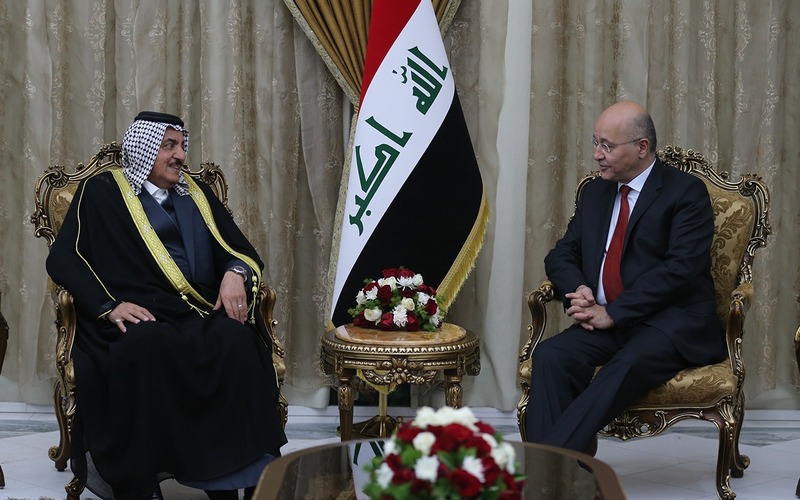 The President valued the long and distinguished artistic journey of the singer Hussein Neama and his contribution alongside constellation of innovators and pioneers in enriching the artistic process and the development of the Iraqi song during the past years. 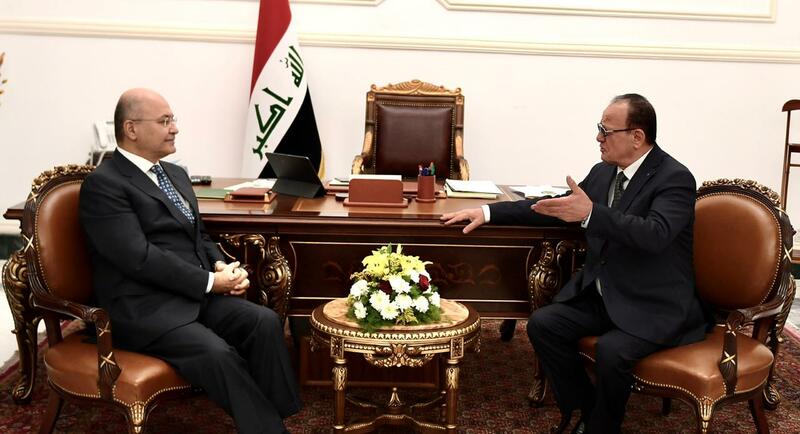 Artist Hussein Neama presented a painting of his works as a gift to President Barham Salih in recognition and appreciation of His Excellency’s efforts in promoting the artistic process in the country. He lauded the President's interest in the artistic and cultural movement, and His Excellency’s support and care for it in all fields.